Time to assemble the Axe and finish out the last detail items. These include cosmetic items on the axe. The shaft of the axe looks like its made from a spine, and I also need to finish casting the skulls that will place on the flat of the axe. This is a lot of work but most of the steps leading up to it are done. 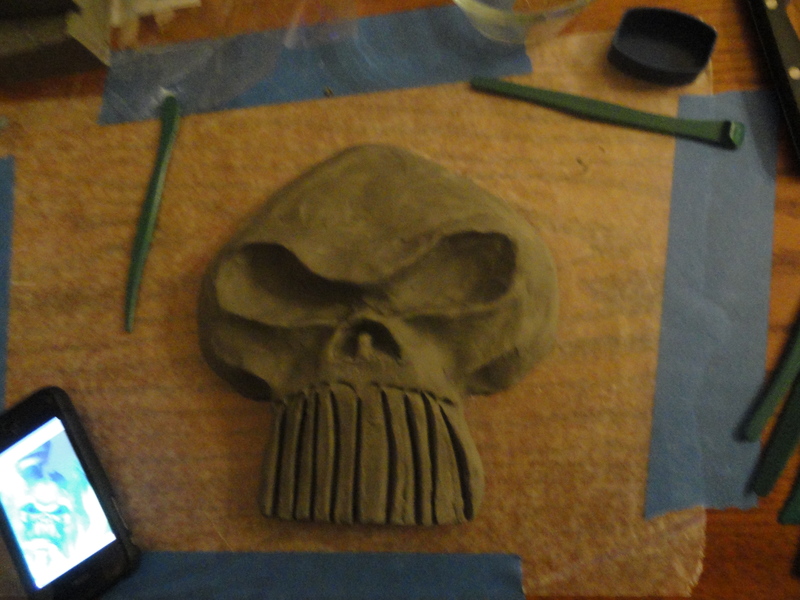 We start with creating a casting the skulls due to time for the material to set up. I am currently working on a Sailor Moon wig based off this tutorial, but I will be posting my own tutorial on it later showing things I’ve learned in the process and what I did differently. If anybody else is interested in custom wigs (especially the Sailor Moon one, I’m having fun making it!) please send us an email, I would love to hear from you! I try to keep my prices reasonable and I’m willing to work with budgets. In other news, I have a long royal blue wig for sale, either styled or unstyled, if anybody is interested. It is this wig from Arda Wigs, 35″ long, and I originally got it to style into a male night elf (from World of Warcraft) but we ended up running out of time for it, and so it’s sitting in our closet and we don’t need it for anything. Asking $10 less than price on website, and I’ll cut you a deal if you want it styled. Keep an eye out, we’ve got the third part of the Arcanite Reaper tutorial coming up soon! In case you don’t know by now, the awesome Pocket and I have a podcast, where we talk about a ton of different subjects (Blizzcon comes up a lot, and cosplaying, and video games). I just wanted to get word out there on this blog as well, since I am a cohost, that our podcasts are usually up every Tuesday around 10am PST, and that you should all listen. 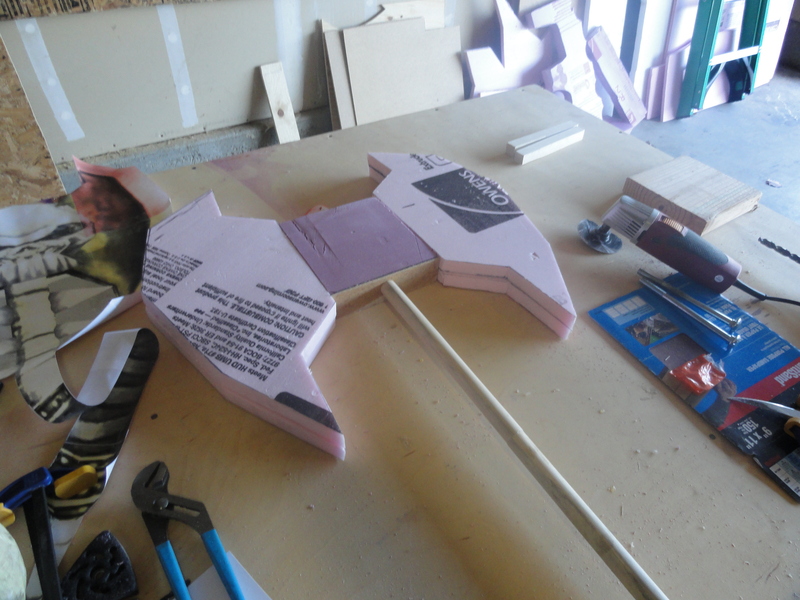 You can hear about what commissions I’m working on, or cosplay dos and don’ts (not all of them are listed on this blog! ), and every week we’re going to try and give one tip about Blizzcon. Don’t be shy, listen in, and feel free to submit questions, comments, or your own cosplay tips on what not to do! Ok, you guys. Our friend Jenny (from fiendle.com, we’ve talked about her before) is pretty much the most awesome person ever. I can tell you don’t believe me. How could anyone be the most awesome person, ever? Obviously I’m going to have to show you some pictures to convince you. Firstly, some back story. Mario has a troll priest as his main, and I have a blood elf priest. 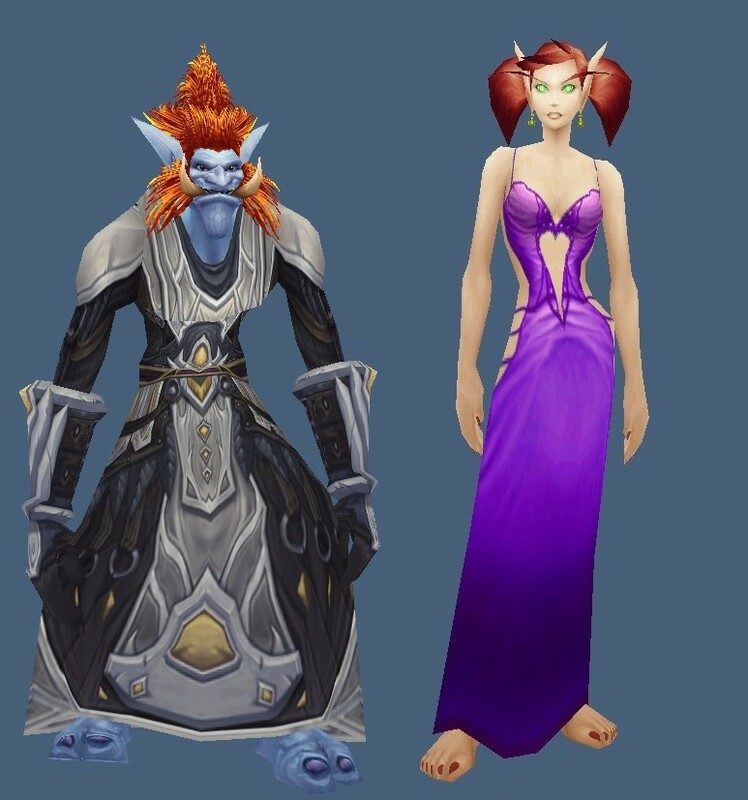 When we first met at Blizzcon, he was wearing Tier 8 priest armor, and I was wearing (on the second day) a lovely purple dress.